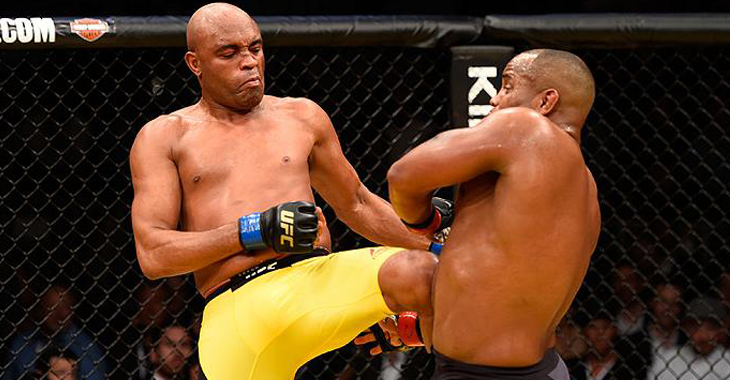 Brazilian middleweight stars Anderson Silva and Ronald “Jacare” Souza are set to return to competition in the Octagon at UFC 208, which takes place at the Barcalys Center in Brooklyn, New York on February 11. Silva and Souza were seen training together for the media ahead of UFC 208 at the X-Gym. Currently ranked by the UFC at #7, former UFC middleweight kingpin Anderson Silva will take on #8 ranked middleweight Derek Brunson in the co-main event of the evening before former UFC women’s bantamweight champion Holly Holm takes on Germaine de Randamie for the inaugural UFC women’s featherweight title. Silva is looking to put a win on his record as the last time his hand was officially raised was back in 2012 against Stephan Bonnar. Silva’s last fight was in July when he stepped in on two-days notice to fight UFC light heavyweight champion Daniel Cormier at UFC 200. Brunson is coming off a loss in November to Robert Whittaker. Prior to the loss against Whittaker, Brunson was on a five-fight winning streak with his last four wins coming by first-round TKO/KOs. 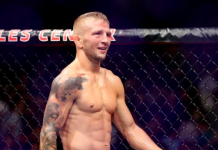 Brunson will look to add another win on his record over one of the fighters often brought up in the talks of the greatest fighter of all time. #3 UFC ranked middleweight Jacare Souza is coming off a first round TKO victory over Vitor Belfort and was supposed to rematch Luke Rockhold in November but an injury forced Rockhold out of the bout. 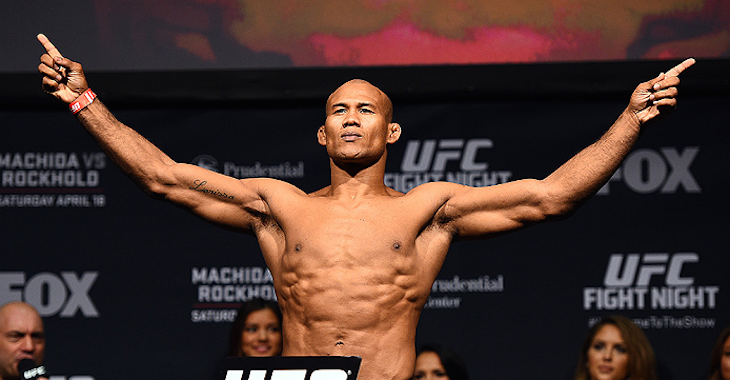 Jacare is now set to fight #13 UFC ranked Tim Boetsch. Boetsch is currently on a two-fight winning streak, putting away his past two opponents by TKO and KO. What fights are you most excited to see at UFC 208? The crowning of the UFC’s first women’s featherweight champion? 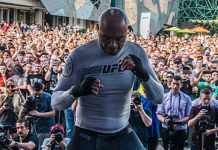 The return of Anderson Silva and Jacare Souza? Let us know and give us your predictions in the comment section for you favorite matchups! This article first appeared on BJPENN.COM on 1/26/2017.